Highway repairs during the winter tend to be reactive. Often caused by a spell of bad weather, snow, flooding, storm damage or burst water mains. The additional stresses to the highway surfacing combined with more road journeys lead to defects. Water seeps into cracks and expands if frozen in the low temperatures. Potholes and extensive damage can occur as a result. In March 2018 the Department for Transport announced that a further £100 million was being given to councils to help repair potholes and protect local roads from future severe weather. “The Beast from the East” had previously swept into the United Kingdom, causing massive disruption and leaving local authorities with extensive highway repairs once it had thawed. The funds equate to helping to repair approximately two million potholes nationally and put into place preventative measures to prevent damage during the 2018/19 winter season. With changes to our climate indicating wetter winters the challenges facing those responsible for the upkeep of our highways and road networks is immense. BituChem is highly experienced in the manufacture of a variety of high quality surfacing products for highway repairs. Whether it is about roads or another unrelated problem, it is generally considered that prevention is better than cure in all circumstances. Preserving highways by strengthening existing road surfaces with micro asphalt will prolong the life of the road and avoid more costly and invasive repairs. 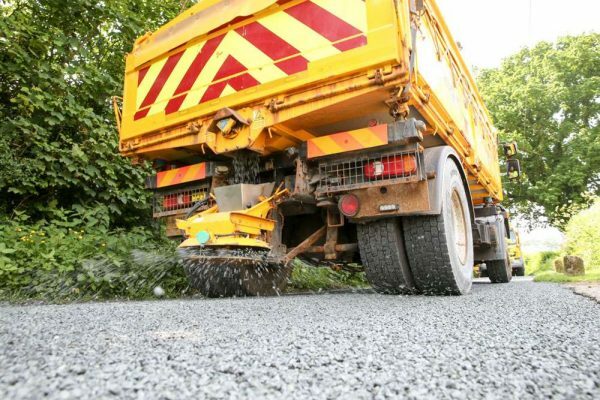 Carrying out this type of work during the summer months will prepare the route for the rigours of traffic and winter weather conditions. Sealing newly laid roads with LockChip sealed surface dressing works with the existing texture by creating a cured bitumen emulsion covering. Protecting the newly dressed road from damage by strengthening it and extending the lifespan. A major benefit is that it can be open to traffic within 30 minutes. Where localised damage and potholes have already appeared, a speedy solution is required, and Airpatch is the answer. This highly mobile and efficient method sees road defects being repaired by applying the highway emulsion from a truck and extendable boom. Repairs can be achieved by a single driver operator without leaving the cab, making it a very safe technique. BituChem has a strong heritage in providing solutions for highway repairs across the United Kingdom. Many local authorities trust our products because they deliver outstanding results, helping to maximise their road budgets. To find out more about how BituChem can work with your local authority for highway repairs, please contact us today.